Miami Dolphins is accepting applications for the Project Change Scholarship. It is open to senior high school students graduating from a Miami-Dade, Broward or Palm Beach County High School on or before June 2018. Applicants must demonstrate financial need to attend to college and must have a GPA of at least 3.0 or better. Students who are interested to apply must write a 300- to 500-word essay about the social justice change they want to see in their community and how the scholarship can help them achieve that change. One high school student will be awarded a scholarship of four-year tuition for college/university. The scholarship aims to impact a student's life and pay it forward by making a change in their community. 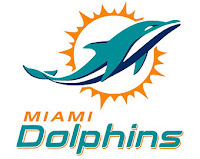 The Project Change Scholarship is a part of the Miami Dolphins' yearly fund for advocacy and social justice programs led by Stephen Ross, a real estate developer, philanthropist, and owner of the sports team. The deadline for this scholarship is usually in FEBRUARY of each year, and the award is usually a scholarship of college/university tuition for a four-year period.